Bud Light is teaming up with longtime partner Google to market unique, premium content directly to football fans via the new Full Season Football program, featuring content from the NFL and other properties on Google Search and YouTube. 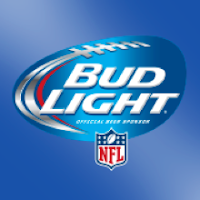 Bud Light – the Official Beer Sponsor of the NFL – is the first brand to sign – adding to a playbook of innovative marketing tactics that have earned the brand recognition as the number one beer in digital. * Beginning September 10, the world's most popular beer, sports leagues and video platform will partner to capture football fans on the coveted second screen. Whether football fans search for recaps or the latest stats on Google, the results of NFL-related searches will display official NFL videos – including pre-roll ads from sponsors like Bud Light – along with related news, scores and broadcast times. All content will be delivered to the user in one distinct box at the top of Google search results and through the NFL's channel on YouTube. "We're constantly challenging ourselves – as well as our business partners - on how to activate around sports in new, energetic and innovative ways," said Lucas Herscovici, vice president of consumer connections at Anheuser-Busch. "The 21- to 27-year-old fan is key for us, and they are following the sport in a totally different way than a decade or two decades ago. Interactivity drives their passion; they want to feel connected to the game through more than just the TV screen. They're checking stats online, talking with friends on social and competing in fantasy. The Google Football program gives us the opportunity to intersect with fans before, during and after the game, providing them the custom content, data and multi-screen viewing experience they're looking for." As part of its extensive 'content factory' model, Bud Light is planning to create – and work with its 28 sponsored NFL teams to generate – a series of short promotional pieces to run at the beginning of NFL YouTube videos. Bud Light's content will be rotated, refreshed and added to throughout the season. "As the most digital beer brand, we know engaging content is king with our consumers," said Alexander Lambrecht, vice president, Bud Light. "This football season we're working with the NFL and our 28 NFL team partners to continue creating and capturing a variety of amazing, unexpected fan experiences. Google's Full Season Football Program will empower Bud Light to amplify those moments in a brand new way, strengthening our content factory and helping us engage fans from Kickoff through Super Bowl." Google has been an advertising partner for Bud Light since 2010, when Bud Light first launched its YouTube page. Since then, the relationship has evolved, from breakthrough Super Bowl campaigns to other innovative initiatives. "We're thrilled to partner with Bud Light on the new program we've built for this year's football season," said Tim Katz, Head of Sports Partnerships, North America, at Google. "Fanship doesn't stop when the game is over, so we're excited to bring viewers even more great content on YouTube that they can tune into before, during and after the game." To learn more about what Bud Light is doing this football season, visit www.BudLight.com. 0 comments on "Bud Light is First to Sign on for New Google Full Season Football Program"